This was a very honest and direct review of my new SEO book, available in the bookstores this month. 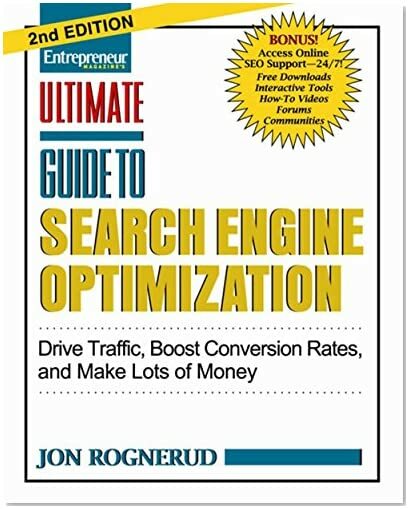 If you click on the Ultimate Guide to Search Engine Optimization book image in this post, you can preview some content for free. Biased statement I know – but: you should get a copy! (and, let me know what you think – I’m here to help). Here are some of my friends and other connections in the search marketing business who also have great books on SEO. Review them, and buy at least two. Then, you’ll have the “right” books to learn and make your SEO great. Send me a note and let me know what you think.